Whether it's to browse the internet from an unsecure network or simply to increase your privacy online, a Virtual Private Network, or VPN, can help. Remember that Dashlane's VPN is a paid Premium feature. 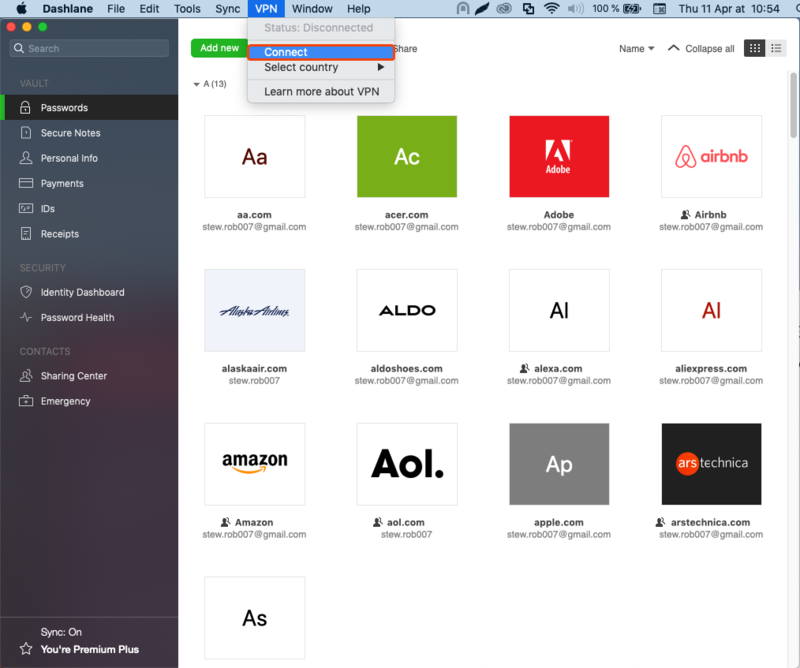 If you currently have Dashlane on a 30-day Premium trial, you will first need to purchase a Premium subscription. If you are having trouble with your VPN, please consult our Frequently Asked Questions. To use the VPN, you must first complete the setup process. 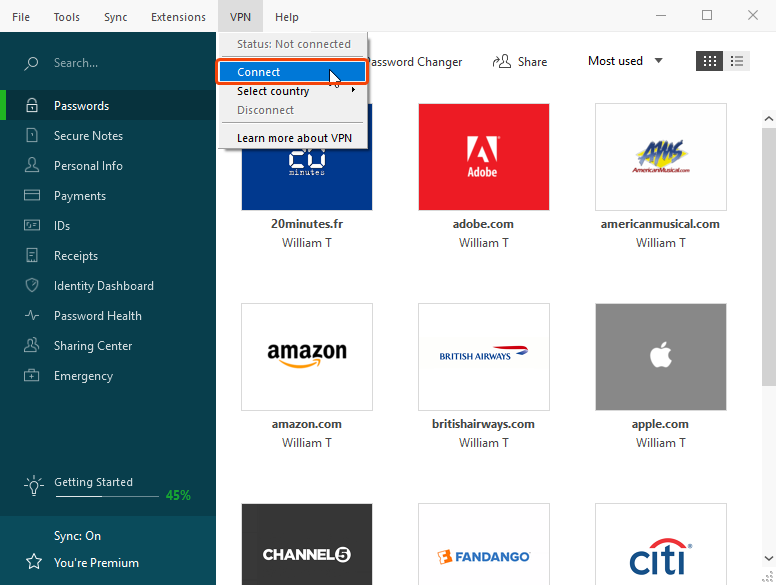 Within Dashlane, open the feature through the VPN menu and click Connect. Next click on Set up my VPN. Note that as part of the setup process, a system dialogue will prompt you to validate a change in the settings on your device. 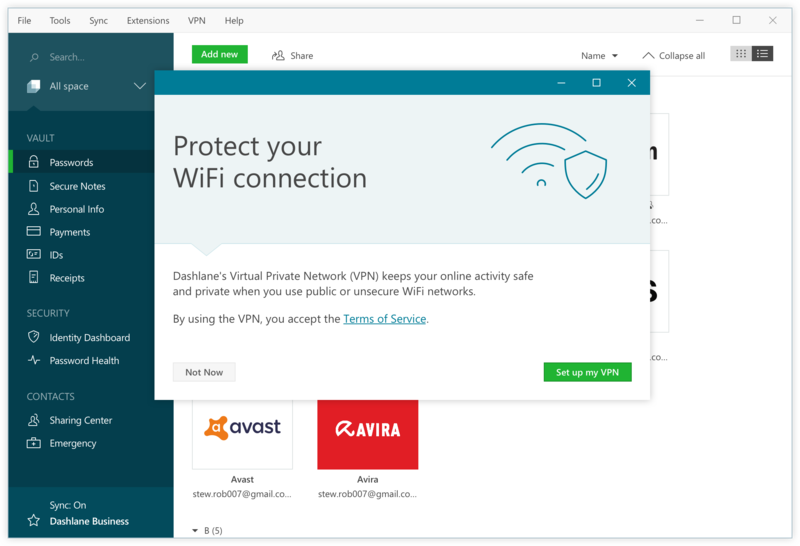 To access the VPN feature, tap on VPN in the menu tab of your Dashlane application. Next tap on Set up VPN to be guided through the activation process. Note that as part of the setup process, a system dialogue will prompt you to validate a change in the settings on your device. Open the VPN feature from the Tools tab, then tap on VPN for WiFi Protection. Next tap on Set up my VPN to be guided through the activation process. Note that as part of the setup process, you will briefly leave Dashlane while the system prompts you to validate changing the VPN settings on your device. 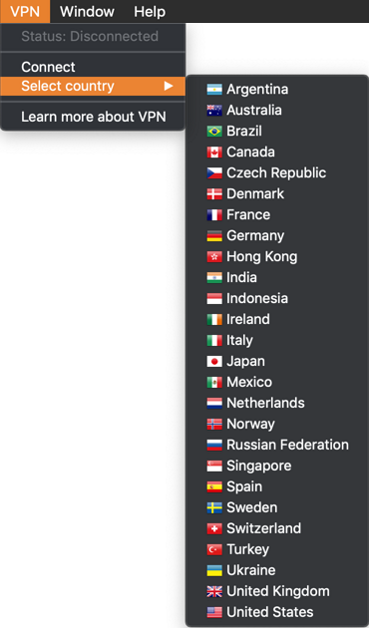 When you open the VPN feature, you have the option to choose the server location from a list of 26 countries. 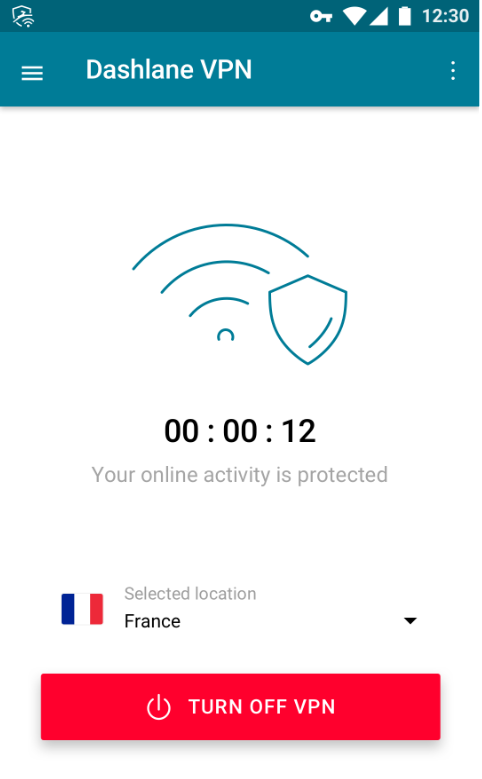 Note that if you connect to the VPN without selecting a specific country, you will be connected to the nearest server, most likely in the country where you currently are. You can choose the country from the drop-down menu by clicking on Select country. This will automatically connect you to a server in that country. By default, the location will be set to the closest and most optimal server. You can choose the country by tapping on Server location. If you leave the application and come back to it later, the last selected country will remain selected. By default, the location is set to the nearest server. You can choose the country by tapping on location. This will automatically connect you to a server in that country. 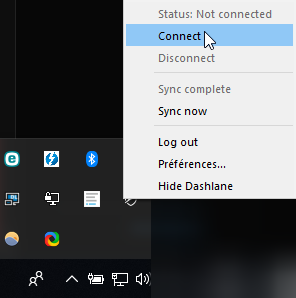 On Windows, you may turn the VPN on and off from within Dashlane, or else from the system tray on your computer. Note that when you first set up the VPN, you must do so from within Dashlane. From the Dashlane application, do so via the VPN menu. From your system tray, do so by clicking on the Dashlane shield icon. On Mac, you turn the feature on and off using the VPN menu at the top of your screen. Android users can turn Dashlane's VPN on and off directly from their quick settings menu. For more details, see How to add Dashlane's VPN to your quick settings on Android. Note that if you turn on the VPN this way, it will connect to the last chosen location. Otherwise, you can always turn on the VPN feature by tapping on VPN in the menu tab of your Dashlane application. Then you will be prompted to connect. Tap on TURN ON VPN. Once connected, you can access your VPN connection and manage it from your Notification center. From there, you will be able to disconnect at any time. 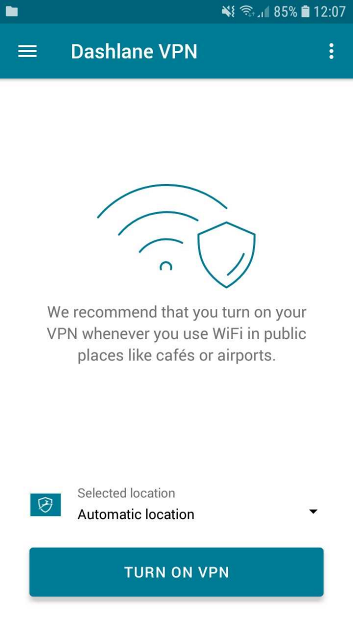 You can turn the VPN feature on from the Tools tab, then tap on VPN for WiFi Protection. Once connected, you will be able to disconnect at any time.